There is no bad mood or bad weather for JD administrator Agnė, she is always smiling and taking care of everyone and making sure that everyone would be happy. In the interview you can find out how she appeared in JD family and what she likes the most. How did you become a member of JD family? It was really unexpected. When I received an invitation to the job interview I wasn’t even living in Vilnius yet. I didn’t even know anything about Jurgis ir Drakonas. At the beggining I thought barman job was temporary, but now I am administrator and I never want to leave this place..
What do you like most of being a JD team member? JD team is one of the reasons why no one leaves JD…I have a feeling that this places attracts interesting, different, positive and a little bit crazy but smart people. It is never sad here! I used to laugh when hearing the phrase ‘work as celebration’ but now I understand what it means! What is your favorite pizza and why? Have you been to Italy and what are your memories? Without a doubt – my dad! What 3 things from JD would you take to the dessert island? Where would you like to see new JD restaurant? In the seaside. Then my family could also try our pizzas! Can you create a ‘Special pizza’ right now? I would like to see cheesy pizza with prosciutto and a lot of rocket. What would you like to wish for JD heroes? Stay faithful to JD! Because there is no other place where staff is so great! Do you know what was keeping us occupied last few weeks?? Salad! We were creating recipes, discussing, preparing and tasting all over again until we created perfect salad bar! We believe no one will be able to resist all these fresh tastes and colors! We guess you are wondering what kind of salad are we going to offer? Well, plenty of them starting vegetarian and ending with meat / cheese / grains. 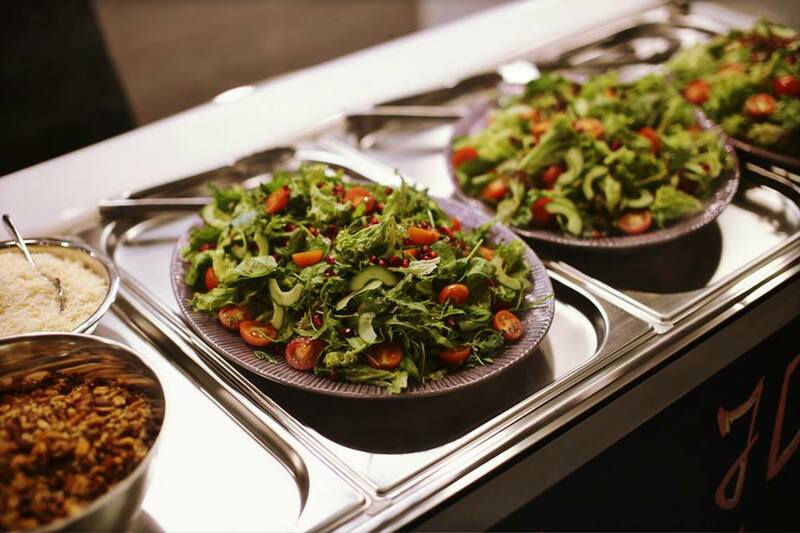 We said YES to vegetables and especially seasonal – salad bar will be always changing according to the time of the year that way providing freshest vegetables. Sometimes we will even offer some special occasion salad. For example as Thursday is a fish day we will offer traditional salad with herring and on Saturday we will be waiting with Beata’s special salad. You will find 3 different salad everyday. You can choose size of portion – small or big plate. Also you can choose 1 or 2 salad that you want to eat and one of five best salad sauces. And here in the picture gallery you can have a look on our created salad which you will be able to try at JD Ogmios this week! JD barman Monika is a warm, always smiling person, who always helps everyone and is never sad or mad. 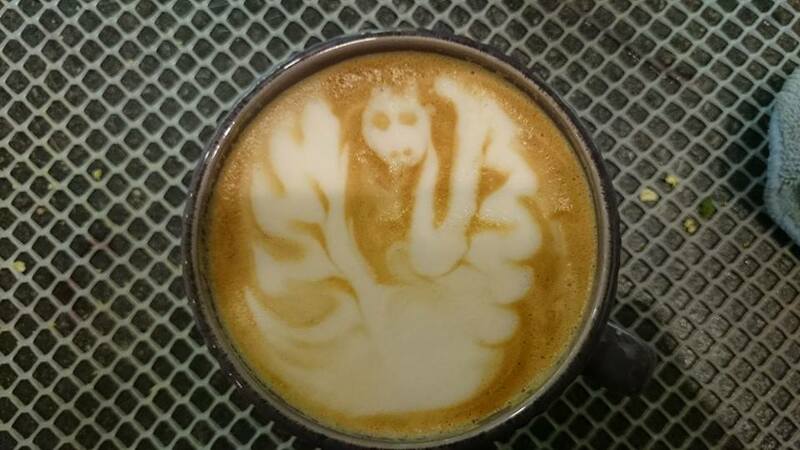 Her head is always busy with ideas and she is a great coffee art specialist – her coffee is always gorgeous and delicious! I saw a funny and creative job offer on internet and decided to try. It was a hot summer day when I came to job interview in ‘Rupert’ in Valakampiai. After a nice conversation I was asked to make a first cup of coffee and I got an offer to join the team the same evening. JD team i like one big family and it doesn’t matter if you are a new person or an old wolf, pizza master or barman – everyone is welcome with a smile and positive attitude. Every restaurant is like cozy home where not only you work but also spend time with colleagues who become friends. Hm…usually I choose Blue Cheese Special and Calzone – it is special in JD. Not yet, but I hope to visit Italy and try pizzas and coffee. What is the funniest story from work in JD? There is too many of them..I can’t choose one. There are many heroes but I always try to look up to people, who can teach me something. All ‘Rupert’ restaurant with the team and of course – pizza ingredients. Somewhere outside in the nature. Vegetables, Chorizo, mushrooms and ricotta. Don’t loose what we are now. Even though usually we meet Italian dishes in JD kitchen, sometimes we explore other cuisines where we get inspiration and new ideas. Of course we often think about English cuisine as Jurgis ir Drakonas founder Tom is from England. That’s why English classic Shepherd’s pie was included in JD menu. Traditionally it is made of minced meat and mashed potatoes on top, but we made some improvisations and created interesting, delicious and very fashionable dish! 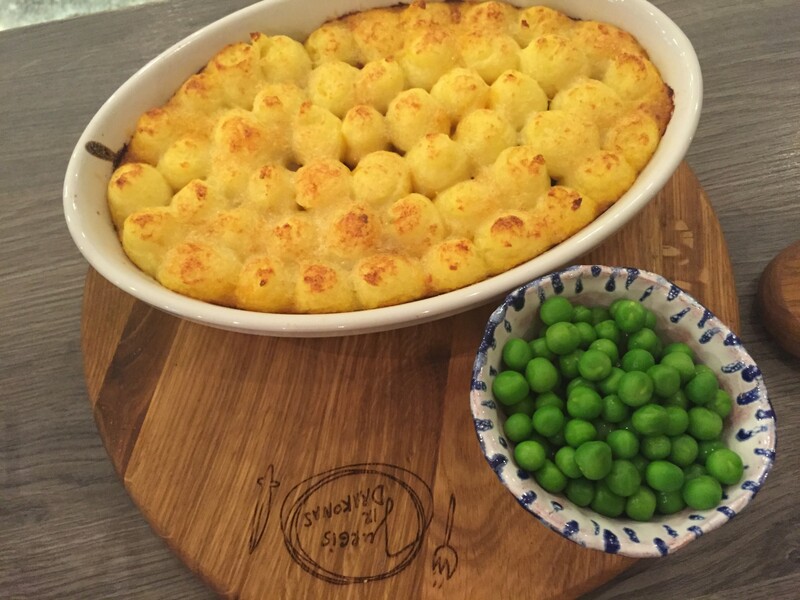 So JD Shepherd’s pie abandoned minced meat and is using our beloved pulled pork instead. Our pulled pork is cooked in the pizza ovens overnight and is the main ingredient in one of the most popular pizza, the Texas BBQ. Pulled pork comes together with caramelized onions and with roasted mashed potatoes on top. And also as it is spring and everyone wants greenery and freshness, we put green peas on the side to energize and brighten everything up! We often hear the question – what is Nduja? In Lithuania it’s almost mission impossible to buy it or get it in the restaurants. JD brings Nduja straight from Italy, from a small producer in Calabria, where local farmers aren’t the best businessmen but produce a fantastic Nduja. We know that it is worth all the efforts to get it and once people try it – they know it too. So, what is that mysterious Nduja??? It is Calabrian gold – spicy sausage, which is made of pork cheek and fat and consists of 40% spicy Calabrian peppers. Later all this delicacy is cured in a pigs gut for 6-12 months. It is unusual not only because of ingredients but also form – it’s almost impossible to cut it the way we are used to, it is more convenient to use a spoon! So maybe it sounds a little bit interesting or unusual, but the taste is truly amazing, enriches our pizzas and everyone loves it! We offer two pizzas with Nduja – Nduja (yes, we even named the pizza after it) and Super Hot – this one is for those, who always say that food is not spicy enough. 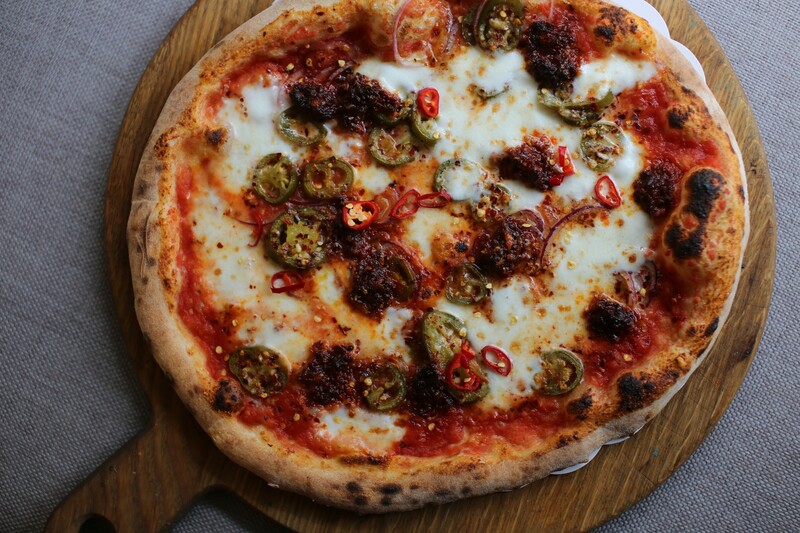 Our customer Aras once said that everything is lacking spiciness for him, but our Super Hot with Nduja, jalapenos, chili peppers and chili flakes was the way he expected. We believe that Nduja with its rich flavor and tingling spiciness is irresistible, so people who love spicy dishes always come back to get some more! 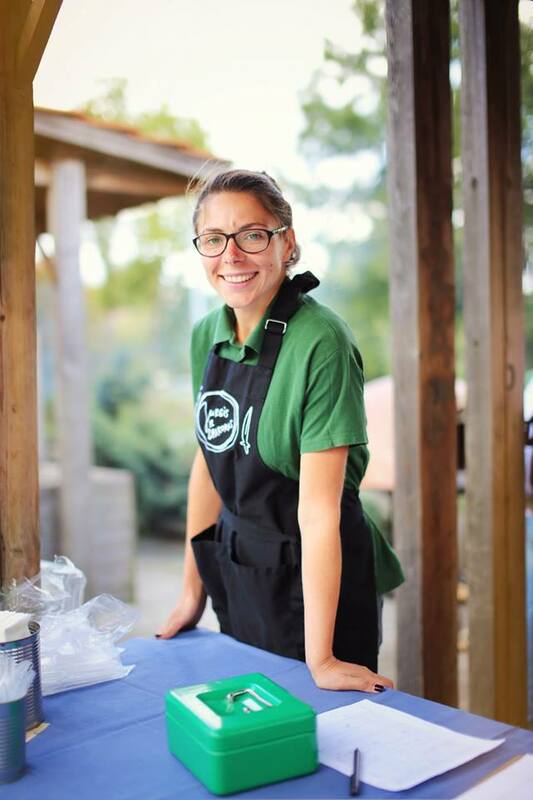 Laima is the one who greets every guest with a smile, looks after service staff and makes sure it would process smoothly. She is always smiling, willing to help and deals with problems without a doubt. In this interview you can read how she got into JD family and what does she like the most. Before I used to work in the field of dentistry and logistics but I always felt that these are not my fields. Food and its quality was something that I am interested in. So one fine day in August I opened portal of job offers and my eye got stuck on UAB “Burokėlis ir krapas” offer. I called them, offered to start from zero and i never once regretted it! They say “The best is yet to come”. But i love Nduja, because spicy is good. Also I like BBQ and Super Hawaiian – personally I think that pineapple don’t belong on a pizza but with this pizza it works! 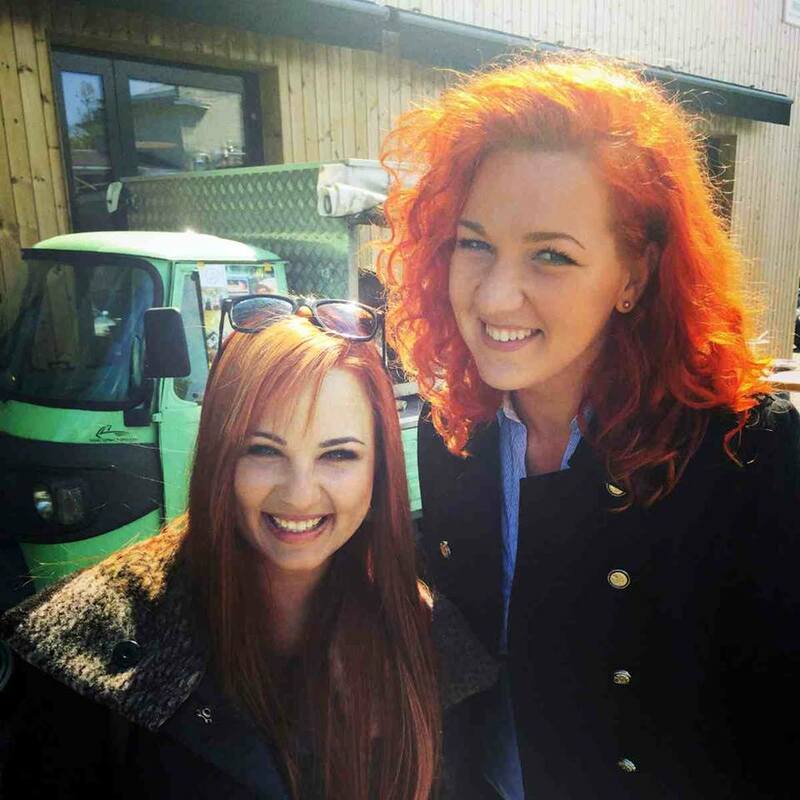 We laugh all the time during work, funny stories happen every day. We spend so many time together, a lt f inside jokes are being born. Heroes are you and me. Positive attitude, oven and myself. In the seaside and also somewhere green in the summertime, like we had in Rupert. It would be great to open in Vingis park. What are career opportunities @JD? Opportunities are everywhere, you just need to grab it and make opportunity become a reality. Now I want Napoletana but with more anchovies and king shrimps + rocket. Keep calm ir keep on team work! You are currently browsing the Jurgis ir drakonas blog archives for March, 2015.